Steamed rice stir fried in a wok along with other ingredients like shredded eggs, vegetables and/or meat. It is often served as a complete comfort meal. 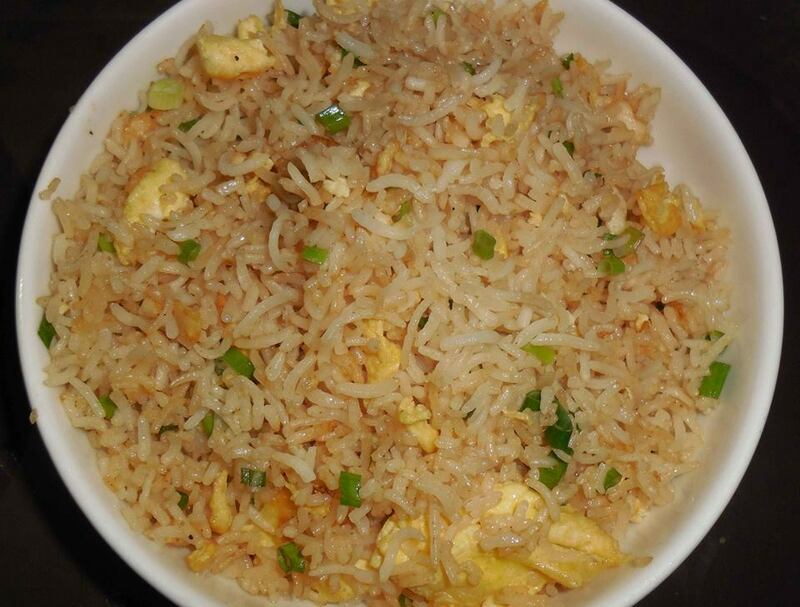 Here we are explaining an easy recipe to prepare Chinese chicken fried rice. The best thing in this recipe is that you may consume any leftovers of rice or other foods. Combine egg with 1 tbsp of water in a small bowl and beat lightly until well mixed. Put a large skillet on medium-low heat with butter in it to melt. Add egg and leave it flat for a couple of minutes or until omelet is set. Remove from skillet and transfer onto chopping board; cut into shreds. Add oil into same skillet and add in chopped green onions, stir and sauté for a couple of minutes. Add in rice, soy sauce, black pepper and chicken. Stir fry together for 5 minutes while tossing often to mix. Finally stir in egg and transfer into serving platter. Serve immediately.